iTunes allows you to create a local backup on your Mac or Windows PC by connecting your iPhone, iPad, or iPod Touch to your computer with USB cable. For security purposes you might choose to encrypt these local backups with a password. Unfortunately, if you forget this password the backup files cannot be unlocked. In this case, the iPhone can't be restored from the encrypted backup. If you forgot the password that locks your iPhone/iPad/iPod backup for whatever reason, iTunesKey can recover it for you, without any damage to your backup. "I have a new iPhone and cannot restore it from the old iPhone backup, as there iTunes prompts me for a password I don't remember! I tried all the passwords I've used for my iPhone and pretty much every other one of which I can think, all to no avail. 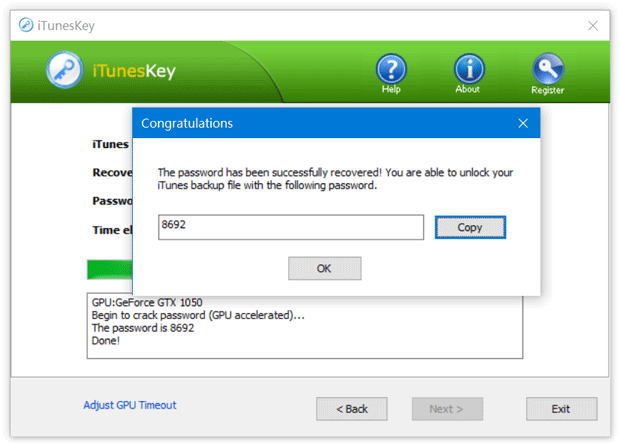 Now I've recovered the password with iTunesKey! Thanks very very much!" "Thank you! I have managed to unlock my encrypted iPhone backup using your excellent software. I will recommend your software to my friends. " 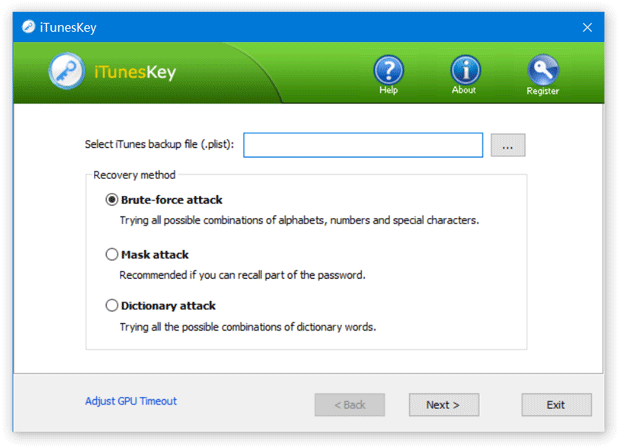 Learn How can you recover iTunes backup password easily with iTunesKey.